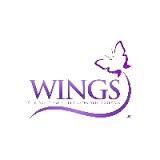 Provides a pathway to independence for adults and children who are escaping from domestic violence and abuse. Their goal is to provide the tools and support necessary to ensure that victims can escape their abusers and begin building new, violence-free lives. Learn more.